Certain foods can be very nostalgic for me. Likewise, new recipes and creations can pioneer new memories that I will surely reflect back on years from now. When the kids first tasted this burger, they absolutely loved it! I was concerned that they were alittle soft, but they were flavorful and delicious! On a toasted warm bun everything just all melded together; it is a must try with the Aioli. Seth’s reaction when he first tasted the burger, hysterical. First bite, “Mmm, wow!” Second bite, “This is a tasty burger!” Clearly he was channeling Samuel L. Jackson’s character in Pulp Fiction. I laughed. Of course then later he pulled up the clip of the scene from Pulp Fiction then said I should call the burger the “Big Kahuna Burger.” The kids laughed. This is clearly his girlfriend’s version of the Kahuna burger since Sam Jackson referenced that she was vegetarian, I said. On our first date, Seth took me to a Stephen Starr restaurant in Philly (Tangerine). We were dressed to the nines; the restaurant had excellent ambiance. Ironically we had dinner there on the last night they were opened in August 2009. Then he cleverly planned dessert at Maggiano’s. I say cleverly because Maggiano’s is about 40 minutes away down an expressway from the other location. Of course at the time, I’m thinking, “wow, this is a long drive” now that I think back on it, it was brilliant. Long drive = conversation. Communication is key and good vs. bad can make or break a first date. Dessert was my first Maggiano’s experience – this was pre-vegan, of course. This restaurant served as several memories for us, eventually he proposed to me here also – it was a different location than from our first day, however. 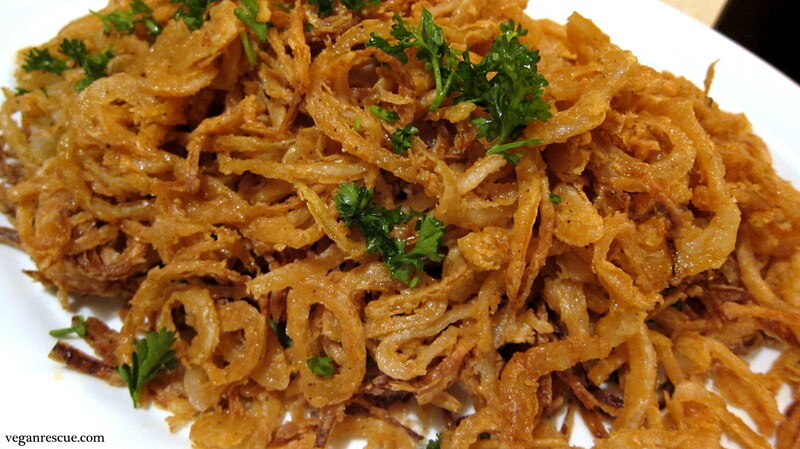 Maggiano’s served these amazing onion strings. 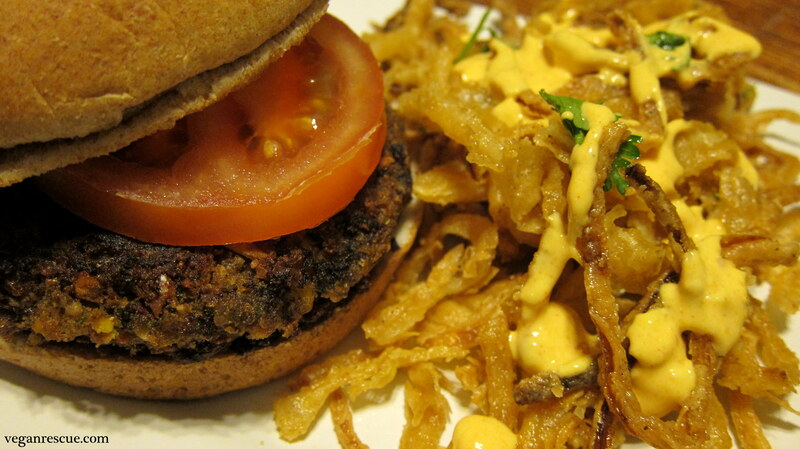 Coming up with a side suitable for my black bean burgers was fairly easy when I think of these onion strings. My version is vegan and melt in your mouth delicious. I utilize a vegan buttermilk – so easy to make. Buttermilk is tart and acidic, essentially the acid causes the pH level to decrease making it curdle. I achieved this by mixing simple apple cider vinegar with almond milk. I really hope you try these recipes. Make dinner then pop on Pulp Fiction for dinner and a movie, haha. Enjoy! -Heat Olive oil in pan over medium heat. Add chopped onions and sauté for 1-2 minutes, add garlic and continue sautéing for another minute. 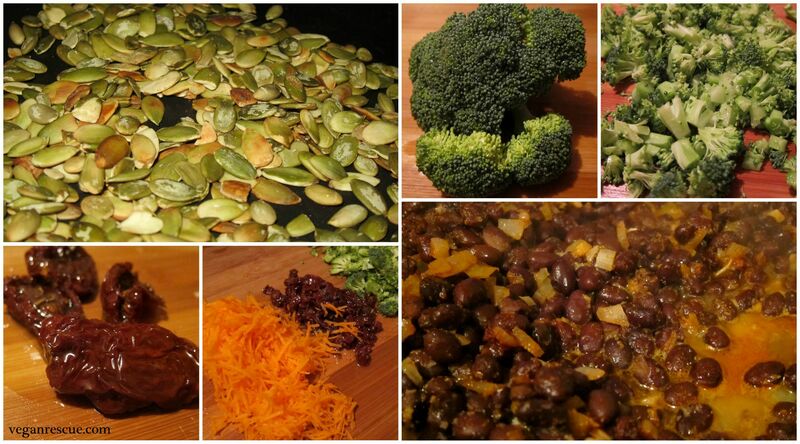 -Add black beans to onions and garlic and heat through (1-2 minutes). 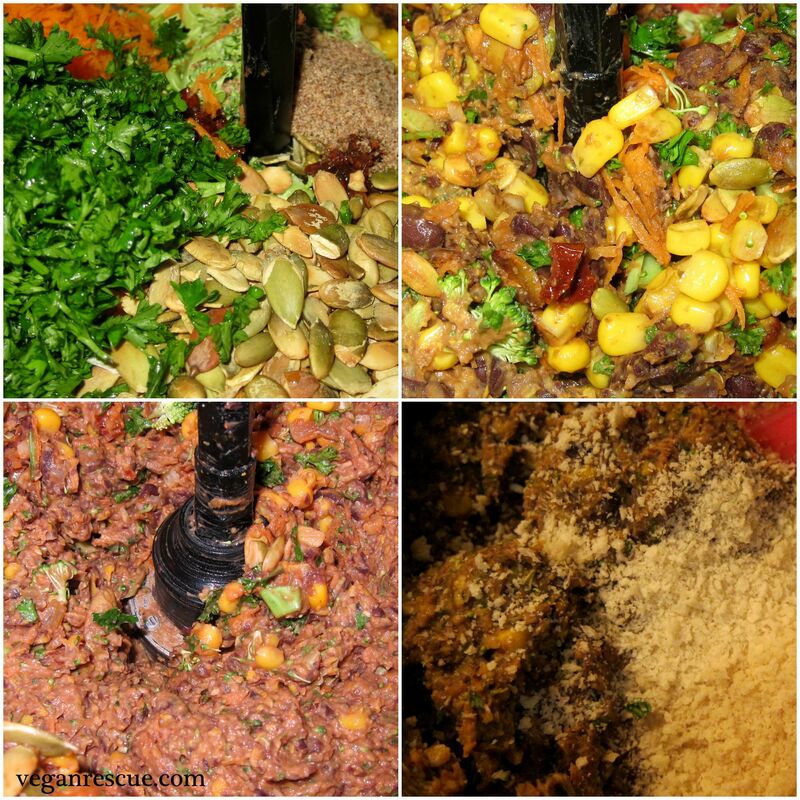 – Add ¼ cup water and begin to mash beans. –You can use a potato masher; I typically just use the back of my spoon to mash them. The consistency you’re looking for is that of refried beans. 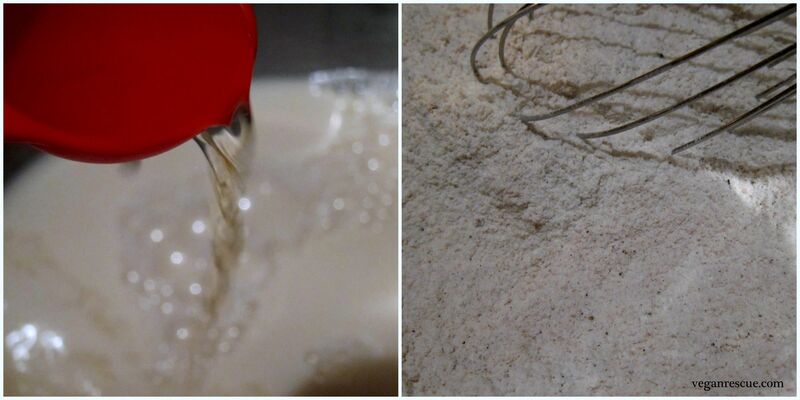 -Add mixture to a food processor (I let it cool slightly before adding to my food processor – I’ve already cracked my base before by adding something too hot). -To the food processor add: Corn, Pumpkin Seeds, Broccoli, Carrots, Cumin, Garlic powder, Smoked Paprika, Parsley and Sundried tomatoes (chop them first before adding so they get better incorporated) and pulse until ingredients are all blended. -Turn out into a mixing bowl, then fold in: Panko, Ground Flax Seeds (instead of buying ground, I but whole flax seeds then grind them up in a coffee grinder), Corn Starch and Salt/Pepper with a spoon or spatula. 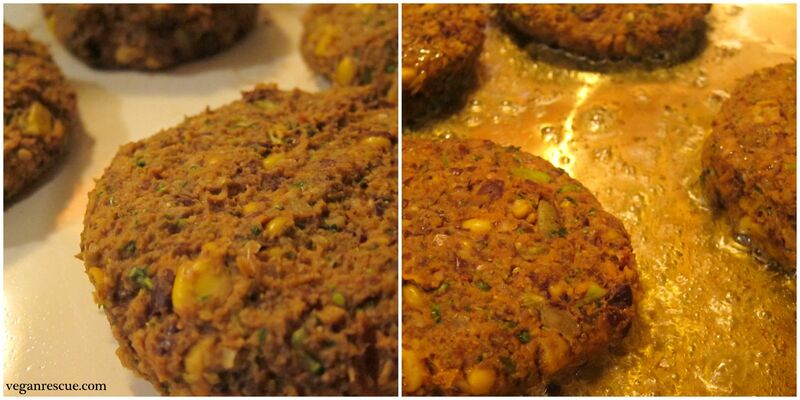 -Once mixture is incorporated, form patties with your hands. This recipe made 10 patties for me. We ate four and I froze the remaining. -Best method I found for these were to cook them in a sauté pan. Just heat some additional olive oil and cook for 4-5 minutes on each side. Note: I did try these baked in a 375-degree oven for 20 minutes (10 each side) but I found they broke apart easier. -Serve these up on a whole wheat bun or bun of your choice with your favorite toppings. Enjoy! 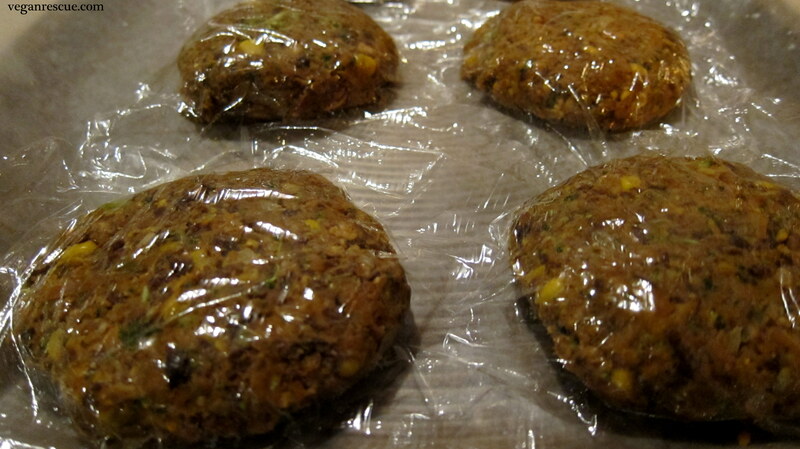 Place parchment/wax paper on a baking sheet – add black bean burgers and cover with a sheet of plastic wrap. Freeze for 1-2 hours or until solid. Then transfer into zip top freezer bags. 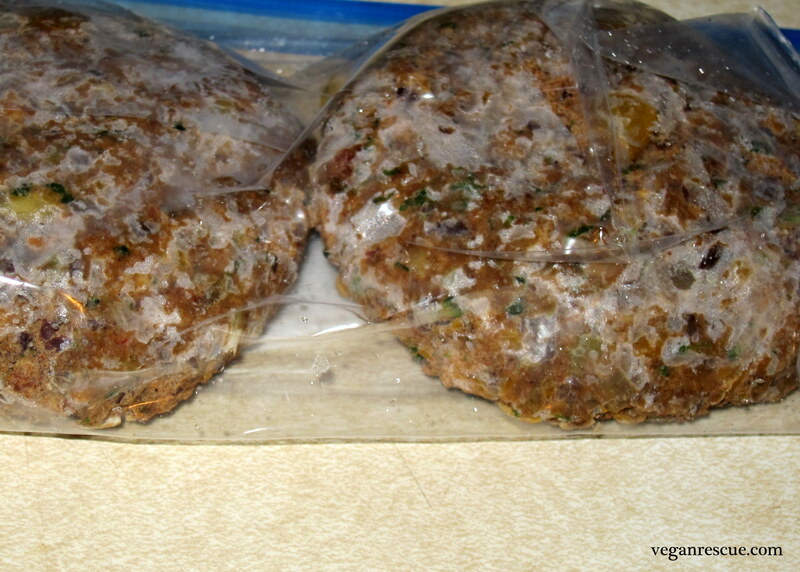 I have left these overnight in the freezer also, which was fine, I just put them in the freezer bags in the morning. -In a large mixing bowl, (large enough to add all the sliced onions), add Apple cider vinegar to Almond milk – stir in and let stand before you slice the onions, about 10 mins. 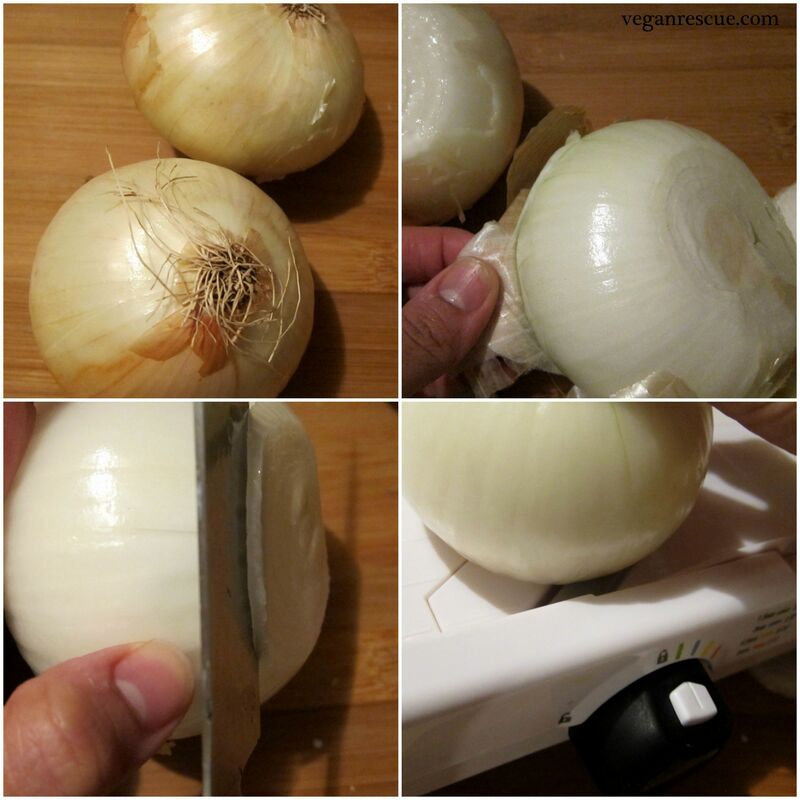 -Slice the onions thin either with your knife or I find it easiest to use a mandolin so all the slices are uniform and even about 3mm (1/8”). I also cut only one side of the onion ring to make long strings instead of circle rings. -Mix together flour, pepper/salt, paprika and cayenne pepper in a separate bowl and set aside. -Add onions to buttermilk and let stand for about 45 minutes to an hour. -Working in batches, grab a handful of onions drain excess milk toss in flour – shake off excess flour and fry for about 2-3 minutes until golden. -I just used a pan on my stovetop filled halfway with oil or you can use a deep fryer if you’d like. Enjoy! Mix all the ingredients together for a divine aioli. 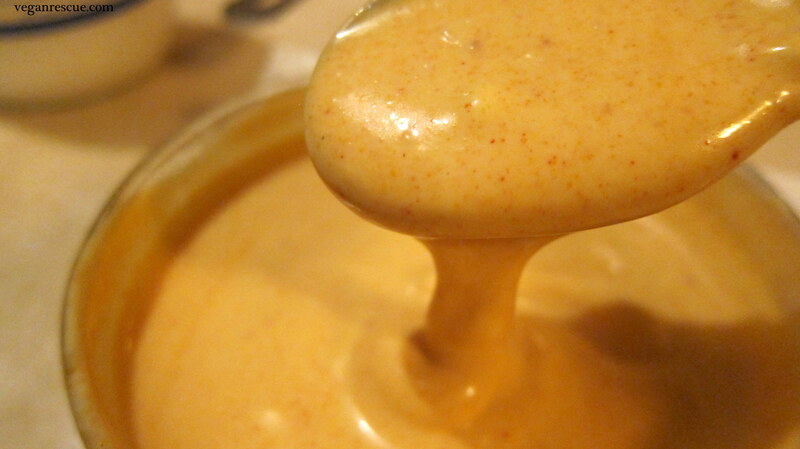 Top your burgers with it or use it as a dipping sauce, the possibilities are endless! Instead of a food processor, would you recommend doing the mashing/blending part by hand? Blending and mashing by hand would work too, however, I would just chop the broccoli, pumpkin seeds and sun-dried tomatoes finer so they are not so chunky inside the burger. Thanks for visiting, good luck!